8 GB KEY SHAPED USB Drive with your company logo on it. Unlock your marketing potential with this Key-shaped customized USB flash drive. 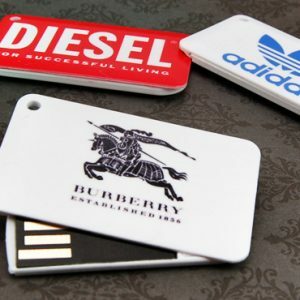 Potential clients and customers will be reminded of your brand each time they look at their keys. 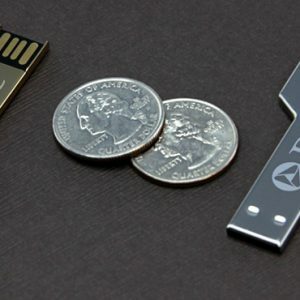 This super-thin flash drive features a seamless, three millimeter thick, shiny aluminum body that is available in Gold and Silver. 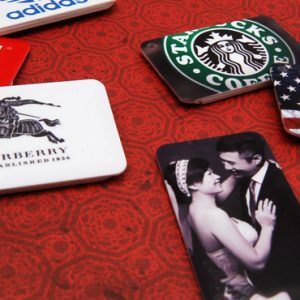 Your logo, design, or contact information can be laser-engraved or color printed both sides of the device. Custom colors available upon request.